Preschoolers are often easily distracted when completing a task. 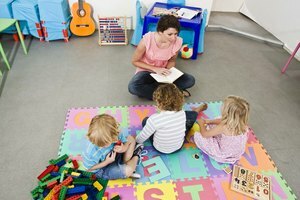 Many preschool teachers often struggle with maintaining the attention span of their pupils. By the time children reach preschool age, their attention spans are still relatively short. 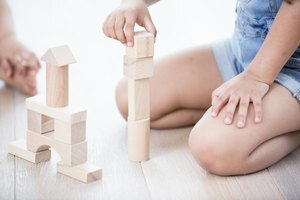 A 3-year-old, for example, may only be able to concentrate on a single task for three to eight minutes while a 4-year-old may concentrate for up to 15 minutes on a new and interesting activity. Although it may seem challenging, planning and preparation can help you to increase the attention span of your preschoolers. Develop a classroom schedule. This should begin from the moment that children enter the classroom and might include story time, snack time, reading time and quiet time. According to the Center on the Social and Emotional Foundations for Early Learning, a schedule can help children feel more secure, understand what is expected of them, reduce behavior problems and, more importantly, increase their level of engagement. Keep children engaged is the key to maintaining their attention. Make time for stories. You can either read the story aloud or play a recorded story. Have the children lie down and close their their eyes while listening to reduce any potential distractions. When the story is finished, have the class explain to you what happened. Gradually increase the length of each story to increase the amount of time to focus and listen. Nursery rhymes can also be used in this activity. Complete an arts or craft project. Ideas for an art project include painting, drawing or sketching while craft projects might include cross-stitch or stringing beads. 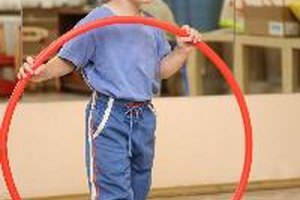 This activity will not only encourage preschool creativity but will increase attention span through fostering interest and maintaining focus and concentration. Get a classroom pet. You can incorporate caring for the pet into the daily class schedule which will encourage a sense of responsibility and care among pupils. In addition, spending allocated periods of time looking after a pet will improve concentration and focus. In turn, this will increase their attention spans. Make time for physical activity. 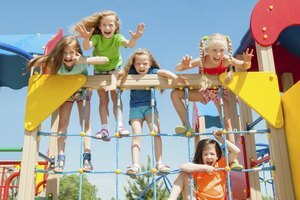 During early childhood, children's legs become longer, they begin developing balance and basic sport skills. 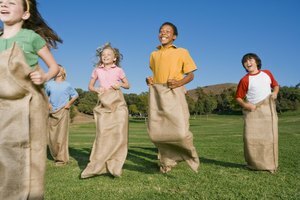 Encourage children to master the basics of sport like running, catching and throwing to improve their physical and motor skills. Avoid a sense of competition and focus instead on having fun. Jones, Kaye. "How to Increase the Attention Span of Preschoolers." Synonym, https://classroom.synonym.com/increase-attention-span-preschoolers-7598928.html. Accessed 25 April 2019.